President Donald Trump visited prototypes of his planned wall along the Mexican border and promised a huge payoff for U.S. taxpayers if Congress approves funding for construction. But he hasn’t shown how. Without knowing how many crossers will be deterred by a wall, it is impossible to know how much money taxpayers will save in schools, hospital spending and other services. Wall or no wall, the Border Patrol estimates that it stops 81 percent of illegal crossings by detaining people or getting them to turn around. A 2016 report prepared for the Department of Homeland Security by the Institute for Defense Analyses uses a different methodology and found that only 54 percent of people got caught. 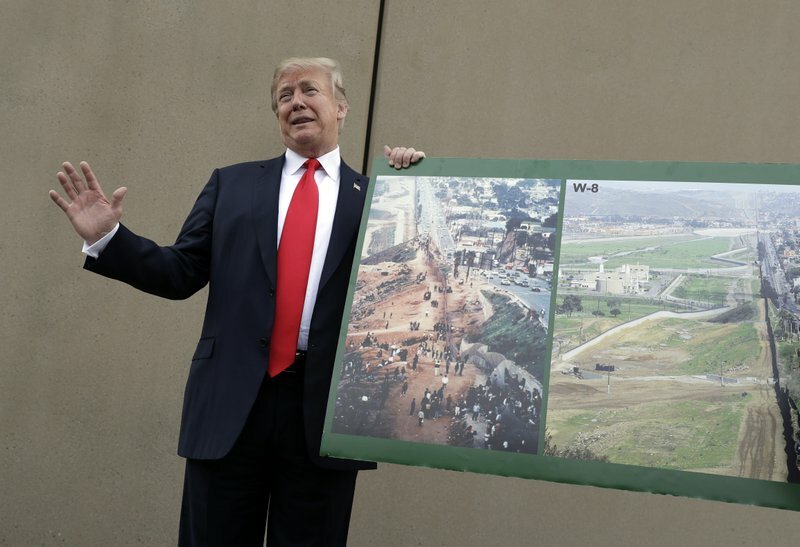 FACTS: Construction of 14 miles (23 kilometers) of imposing border walls by the mid-2000s — along with more agents, technology and smaller barriers going back to the 1990s — brought a 95 percent decline in border arrests in the Border Patrol’s San Diego sector from 1993 to 2017. But the crackdown had serious consequences by pushing smugglers east to Arizona’s remote mountains and deserts, where many immigrants die trying to cross. The overall level of border arrests mostly stayed between 1 million and 1.5 million a year until the mid-2000s. Steady declines in recent years resulted in the lowest arrest tally last year since 1971.